And to the saviors of the young girls whose lives have been changed forever! 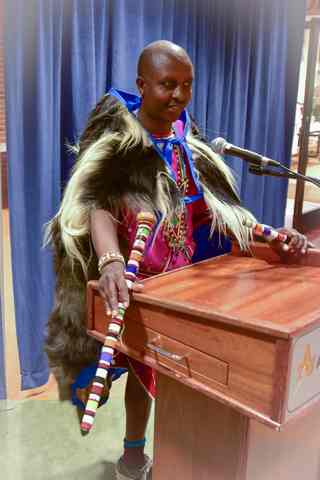 The Chief is the appointed head of over 5,000 Maasai tribal members in Kenya and is an ambassador for safety, health and education for the under-privileged in Maasailand..
11 at-risk girls graduated from high school. Some of them have qualified to join University, while others will join Technical Colleges. All are safe and looking forward to healthy, successful futures. 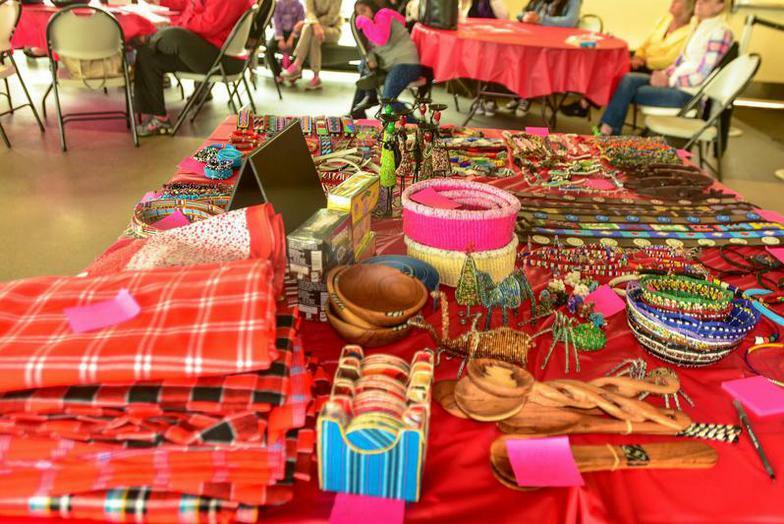 12 girls are being supported in high school currently, and 8 are being sponsored in elementary school. School hot lunch program, school uniforms, and books were provided for 28 pre-school kids through out this year. Phase One of a community well at Kimuka village has been completed. The funding for a diesel generator is close to accomplished, and we will next be raising funds for a 50M cubic water tank to store and distribute the water. Most school children get up very early for their long walk to school, study all day and make the long trek home with only some milk for breakfast. It is hard for them to concentrate after the physical exertion and long day with no lunch. Ask your neighbors; the Chief has been establishing strong relationships in Nassau and Suffolk Counties for the last 6 year. Many referrals are available from local teachers and administrators. questions here. We'll get right back to you! 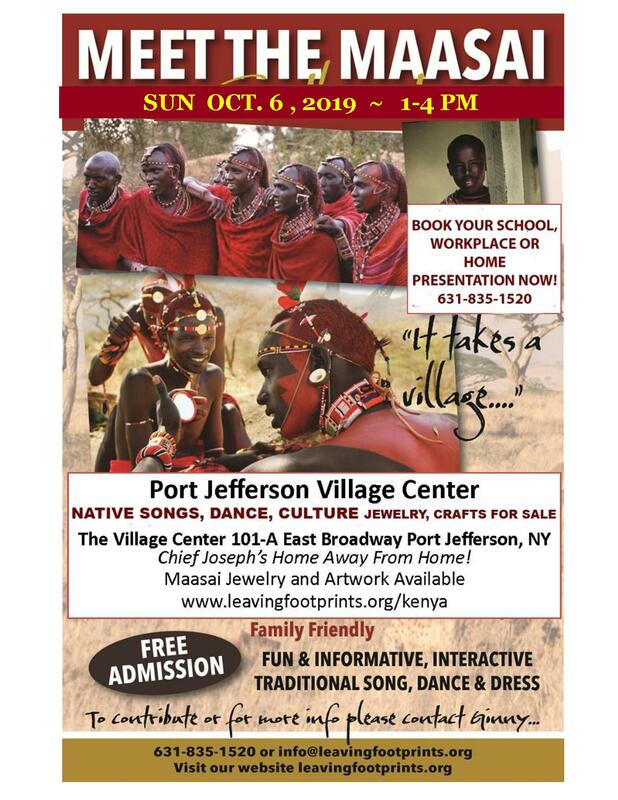 Hand-crafted Maasai Jewelry and African arts and crafts are available at our events.